I’ve always had this obsession with looking into people’s homes. Not some kind of peeping tom or stalker type of thing mind you, just seeing the inside of homes. How they were decorated, how the rooms were laid out, that kind of thing. I even thought about becoming a real estate agent so I could get paid to do it. Not to mention the feel-good feeling of helping a family find their dream home. Being a real estate agent does sound like a wonderful career. Yet there are some safety concerns that real estate agents must face. Honestly, I never thought about the safety concerns when I was younger and thinking about becoming a real estate agent… but there sure are some. Even if the rewards far outweigh the dangers, it is better to be safe than sorry. Think about it, a huge part of a real estate agent’s job is to meet total strangers in unoccupied homes. 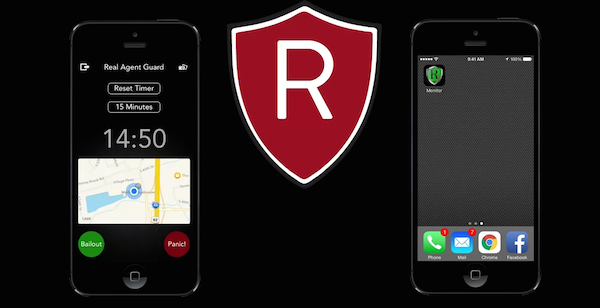 I recently checked out a new app, Real Agent Guard, that helps keep real estate agents safe. I love when smartphones and apps have real life applications. Especially keeping us safe. 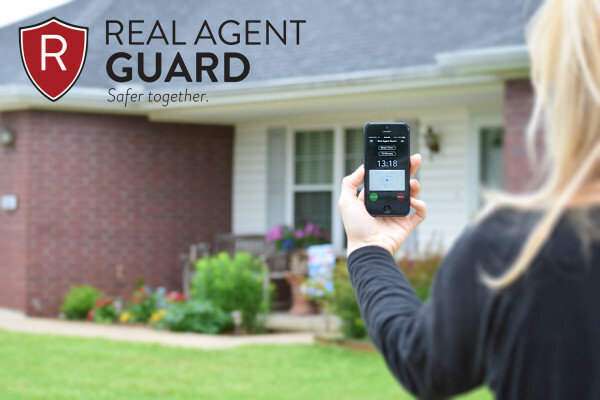 The Real Agent Guard provides agent security so a real estate agent can do their jobs without being in fear. It can help give agents some peace of mind. Go to Settings -­‐> Manage Keys and paste your API Key into the prompt. Click “Add”, then Done. In the Settings page, click “Save”. Once logged in, you have a few options. In the upper right there is a camera icon that you can click to take a photo and upload it to our servers. 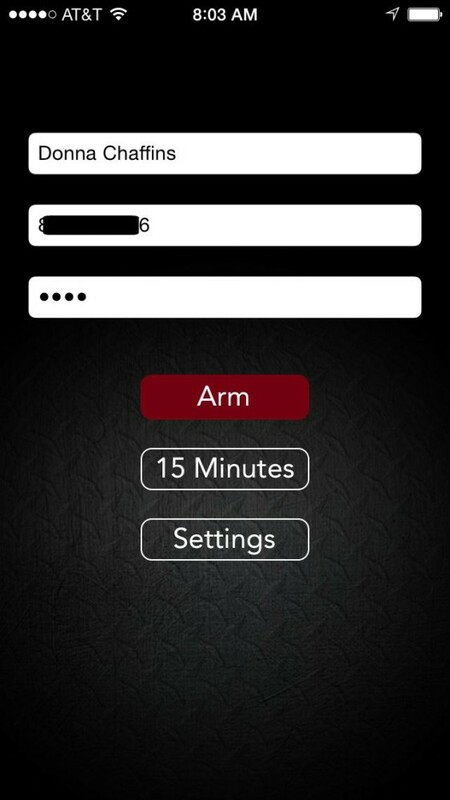 To reset your timer, click the “Reset Timer” button and enter your PIN. To logout, click the logout button in the upper left of the screen – you will be prompted for your PIN again. Note that you can change the time between check-­ins up to 60 minutes, but we strongly recommend you keep this at 15 minutes. Once you login, when your check-­in timer reaches 1 minute left, you will get an alarm reminding you to reset your timer. If you miss your check-­in time, your team will be alerted and will attempt to contact you. If they cannot get in touch with you, they may call the police or have someone go to your location to confirm you are safe. Preventative measures so if a potential attacker observes an agent is using Real Agent Guard, they will think twice. I could definitely see how Real Agent Guard could be a deterrent to a would-be criminal. Say I’m showing a house and when I pull in, I take a photo of the potential home buyer’s license plate and let them know that I’m using Real Agent Guard and their plates are on file (it will never be shared to respect privacy unless the real estate agent does not report in and after their team and/or the police cannot confirm safety of the agent)… a would-be criminal would more than likely have second thoughts. Just like the video monitoring at open houses would deter a crime. Just place placards/signs up that state the open house is being monitored by video…. it would nip the crime in the bud, so to speak. I can see how the Real Agent Guard app could be very useful for anybody, not just real estate agents. They have a Friends and Family app coming soon that will act exactly like the monitor app but for people outside the agency team! My husband loves the app because he worries about me when I’m out (especially after dark) alone. I can use Real Agent Guard by setting the “Timer-Based Check-In” for however long I think I will be in the mall or store, etc. 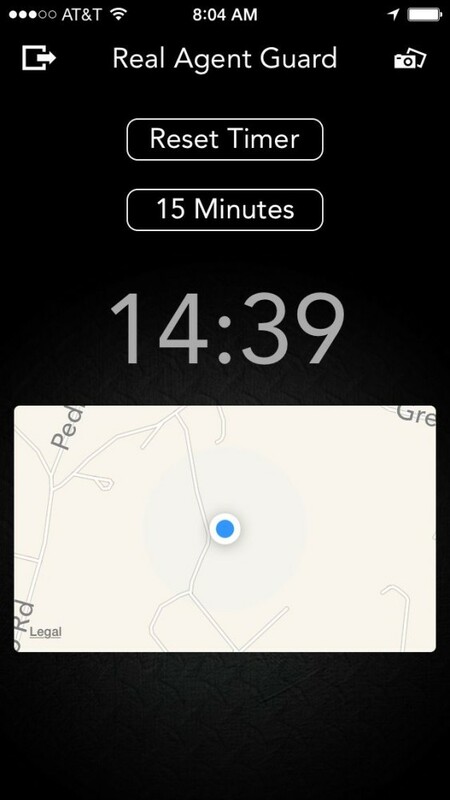 I would probably set it for 30 minutes for shopping once I’ve pulled into a parking lot and then if I miss my check-in time, my husband will know my last location and the time. What I’m personally excited about is how Real Agent Guard can help us, as parents, by giving us a little more peace of mind when our son gets a bit older and is out with friends and <gulp> driving himself. Nowadays, you really cannot be too safe. We may trust our son, but you never know what might happen. This way we will at least know the last location he was at and he doesn’t have to call and text us all the time. This would be extra helpful if he had to be in an area that we didn’t feel was the safest part of a town. You can connect with Real Agent Guard via Twitter, Facebook, and Google Plus. Download the Real Agent Guard on the App Store and Google Play and download Real Agent Guard Monitor app on the App Store and Google Play. Both will be available on the Windows Store soon. I have often wondered about how Real Estate agents stay safe. I would be completely terrified, being a woman in the Real Estate business! Who know where you are and who you’re going to meet! I’m glad that there is an app to keep you all safe!!! Great app for everyone, not just agents. A very useful app for a certain amount of people. Thanks for the review. Hi Mai, it’s actually quite useful for most anyone, really. And the new Friends & Family version will be coming out soon… then anyone definitely will benefit from Real Guard Agent! This sounds like something that every real estate agent should have. What a great app! 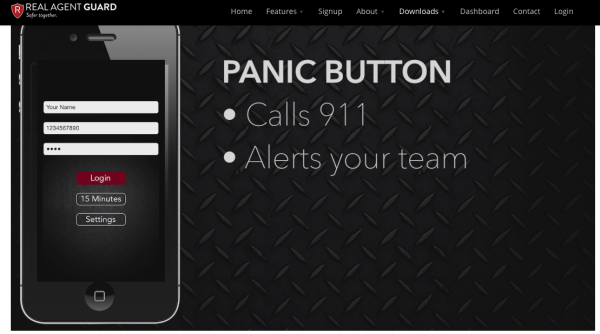 This is a really great app that could save a life. I think it would be useful for door-to-door salesmen, repairmen…or anyone that has to visit strangers in their home. This is a wonderful idea. There are so many stories out there of agents being accosted. It’s scary. Wow this sounds pretty awesome. What a great idea, and for an app! Very cool. I hadn’t heard of this before, but I bet it will be super effective and save many lives! This is long overdue. I have a friend who’s a realtor, and it’s a lot more dangerous than most people think. This is a great way to keep agents safe. I’m glad apps like this exist. All of these features sound great. That bailout could come in handy in a variety of situations. It seems easy to overlook the dangers of being a real estate agent but it is great to know there are safety options available for those who are in this line of work. What a great app! I would want this for my son when he’s old enough to go to a friends house or stay at home alone! Wow I really love the looks and sounds of this product and service for me! I’ll have to try it out! What a cool app. I could see this being useful for us as well. I can think of so many uses for these apps. They are such a great idea. 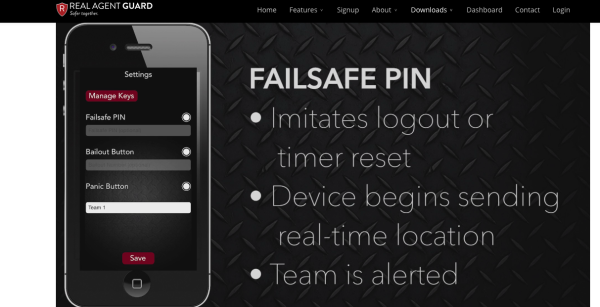 I’m sure many people will feel much safer with these apps at their disposal. This sounds like a great app and one that I would be looking into more, especially as our kids will be getting their own phone soon. I can see how worrisome it could be to be alone in a home. This is a great idea for agents (and others too)! I think this is a wonderful app for students, moms, and agents. What a great idea! I have been wanting to get something like this for my home. I love that you can use an app to control it. Of course it’s dangerous! Especially in the city I live in. Many agents use techniques like hiring their own security, or bringing a trained attack dog with them when showing to stay safe. It is great for them to have one more way to stay safe on the field. We’re going to be looking for a house soon! I’m sure real estate agents could share some real horror stories. Very scary! Hopefully this is app that a lot of people are using. This is a fantastic app. It really helps to have that kind of piece of mind about your safety at home. All those hours alone in empty houses can definitely be a cause for concern. It’s wonderful that there is a way to safeguard real estate agents, and the rest of us too. I always wanted to be a real estate person. The hubby says it’s too dangerous. My aunt use to do real estate and it can get scary when you are showing a house all alone. This is an app that any real estate agent should have! A truly incredible app. Anything that helps keep people safe is worth the price of admission in my book. What a great app/service! 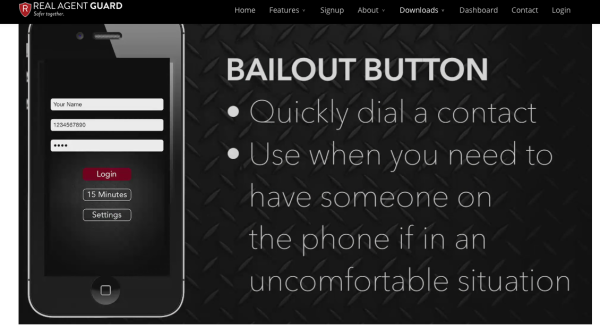 I really like the idea of the bailout button especially. I worry about safety of Real Estate agents. This is such a smart app! This sounds like an amazing app. I have a few friends that are real estate agents. I know they do worry about their safety. This is a really cool app. My aunt is a real estate agent and real estate appraiser. She cold really use this app. This is a very smart idea. I could see other uses for something like this, too.